Tom Clancy’s The Division 2 came out last week and Jordan was quickly taken with it, publishing some broadly positive in-progress thoughts and enthusing to all of us in the office of its completeness and polish. Having reviewed Anthem, I listened with bitter jealousy, though countered with the observation that his loot shooter doesn’t have jetpacks. How we laughed. Anyway, Jordan has now finished our Division 2 review and given it a 9. That’s slightly but not much keener than the overall critical consensus, which at time of writing sits at 82 on OpenCritic and 85 on Metacritic (PC reviews only). Basically: people really dig it. A forgettable and meaningless story is one of the few criticisms that’s relatively common, and while some critics are clearly happy to overlook this issue for enjoyable gamepay and plenty of content, others have been more vexed by the tone-deaf clash between the game’s highly charged setting and its apparent apathy towards it. This explains outliers such as Eurogamer and The Guardian in the list of major critics below. 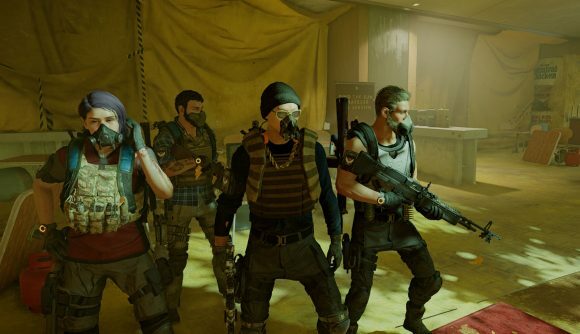 It’s notable that The Division 2 has launched in a content-rich and refined state, given that Anthem has struggled with its share of bugs and limited game modes. Until its Forsaken expansion, Destiny 2 had similar issues trying to keep its players entertained after launch. Clearly, this kind of game is difficult to get right. Interested? You can buy buy The Division 2 on Ubisoft’s store (it isn’t on Steam). The standard edition will set you back $59.99 (£49.99).